Phase 2 of the Marvel Cinematic Universe ends with a much smaller movie than Avengers Age of Ultron, yes Road to Infinity War is rewatching Ant-Man this week! Due to its scale (no pun intended), Ant-Man does feel very much like one of the solo movies from Phase 1. Not that this is really a bad thing, it’s still a great movie that’s entertaining from start to finish. We get a relatively straight-forward superhero origin movie that’s well made, and considering all the drama with Edgar Wright dropping out as director just before filming started, it’s amazing it turned out as good as it did. Whilst watching it I did find myself thinking about the comparisons and similarities with the first Iron Man. To be honest at one point I was really beginning to debate which movie is better. I think I settled on Iron Man overall, however I think the final act of Ant-Man is stronger and has much more inventive action sequences throughout, yet I think the charisma of Robert Downey Jr gives Iron Man the edge. Saying that, Paul Rudd as Scott Lang holds the movie and is a great lead. 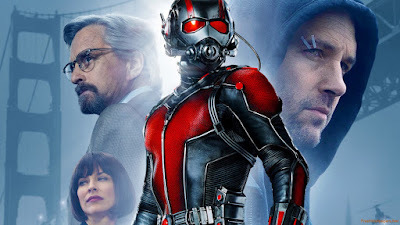 Michael Douglas and Evangeline Lilly do great work supporting as Hank Pym and Hope Van Dyne respectively, and Michael Pena is absolutely amazing (so funny!). Unfortunately the villain Darren Cross / Yellow Jacket (Corey Stoll) is one of the weaker MCU villains, he serves his purpose for the story but he’s pretty forgettable. Technically, I particularly like the fact they use the 1.85:1 aspect ratio again (basically means the image fills the TV screen and there’s no black bars at the top and bottom), as this really helps bring dynamic to the shrinking scenes. These scenes also look exceptional, the image quality is super-sharp and the detail in the environments is phenomenal. And whilst we’re talking about technology, the opening scene with a young Michael Douglas? Wow, still looks so good. Although Ant-Man tells a relatively self-contained story, I did pick up on a few world building bits (specifically Civil War set-up) I missed the first time. The first one being when Ant-Man is flying on the back of an ant through the bus, he lands on a newspaper with the headline “Who’s to blame for Sokovia?” The second is when Michael Pena’s character gives details on Falcon looking for Ant-Man at the end, originally I thought this was just a funny skit, but it’s obviously when Falcon goes to recruit Ant-Man for Civil War. 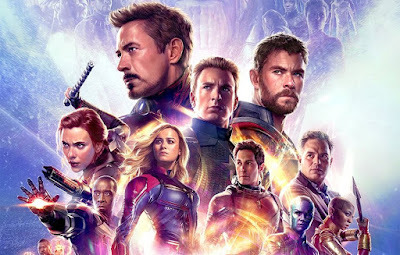 Even though Ant-Man isn’t on the same level as Captain America: The Winter Soldier or Guardians of the Galaxy, this is pretty much the point in the MCU when Marvel Studios had completely perfected the formula for making solid / entertaining movies. So even though it’s not a 10/10 movie, it's still a great one!